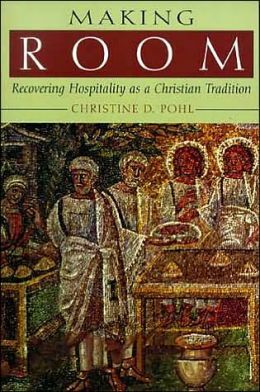 I recently finished the book Making Room: Recovering Hospitality as a Christian Tradition by Christine Pohl. The book is a beautifully written non-fiction work calling Christians to rethink hospitality as “welcoming of stranger” rather than just entertainment. I am challenged to look at my life and see how my unique circumstances intersect with a lifestyle of hospitality, and reflect on I am made to be both host and guest. Solidarity among different groups of people can occur when we admit our weariness, brokenness, and need and regularly provide healing places and friendship for each other. Do we desire a slower pace of life so hospitality can be a reality? Do we desire to be faithful in the mundane, to celebrate and grieve as rhythms of life? What simple changes can we make to be more hospitable people? Last week I listened to a bunch of interviews about diet and health for those with autoimmune disease. What struck me was that these professionals viewed food, nutrition, and the body with the utmost respect. These doctors respected and believed their patients with all their “crazy” symptoms–and yet their patients had to work really hard to improve their health through lifestyle changes. Soon I will start a diet that is pretty restrictive in most people’s opinions, but with the goal of restoring my health. And then I started thinking about Lent. Giving up something for 40 days. Should I give up cheese? Chocolate? Wine? Bread? Oh wait-I’m already giving up all those things! Honestly, I haven’t decided what I’m giving up yet. But the “what” isn’t as important as reminding myself what Lent is all about. I think it’s human to approach Lent and giving something up as a means of self-improvement. Let’s just pull out those New Year’s resolutions we only kept for 7 days and try again. Maybe I’ll lose weight if I give up sweets. Or at least somehow I will be a better person coming out of Lent because of my self-restraint. I will fail during Lent. I like cheese, a lot. And when I’m hungry self-restraint doesn’t sound fun, even if I told God that I’m giving something up for him. And Lent isn’t about me “doing something for God” at all. Lent in the historic church calendar is about sharing in Christ’s sufferings. Yes, it is about looking to the resurrection-but not too fast. We are called to live in the somber days-the mundane days filled with intense suffering. The practice of giving something up reminds me of my weakness, my sin, the intensity of my desires, the pain of this world, and that I must take comfort that Christ still suffers with me, with us. He was tempted as we were-yet without sin. He intercedes for me, even as I break my Lenten promise. Lent isn’t about “what I’m getting out of it.” Lent is about living-and actually leaning into suffering. Not to glorify it-but suffering exists-it is everywhere. And Lent is a fixed reflective time that calls believers everywhere to see suffering and not run. It is a call to see Christ in His suffering-and not detest that our Savior was one who was despised and rejected. 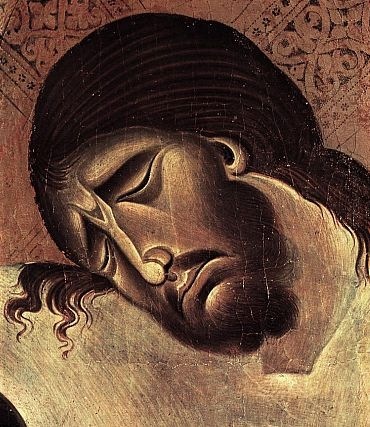 Why again do we worship the Man of Sorrows, acquainted with grief? That question must be answered anew during Lent. As I listened to those health interviews, thoughts of health and my body being restored ruminated in my mind. But my diet isn’t a “quick-fix, try-this-for-5-weeks-and-you’ll-be-better.” I will eat this way for the rest of my life. Because my body is broken, yet health is still attainable. I must “suffer” in my restraint for health’s sake. Knowing Christ in His suffering, in my suffering, is for my health. Even when I hate it. Even when I run. Even when I cuss God out when I have to lie in bed all day for yet another day. Yet He is gracious and kind and persistent in his pursuit, even when I close my eyes because His pursuit is too painful to feel. Isaiah 53:11 “Out of the anguish of his soul, he shall see and be satisfied…” Christ claims me for His own, out of the anguish of his soul. I’m so thankful that He sees through His pain, because so do I. Somehow I am healthier because of my anguish. As I lean towards Lent, it is my prayer for you, and for me that we are brave enough to see from the anguish in our soul. We truly do share in His sufferings. 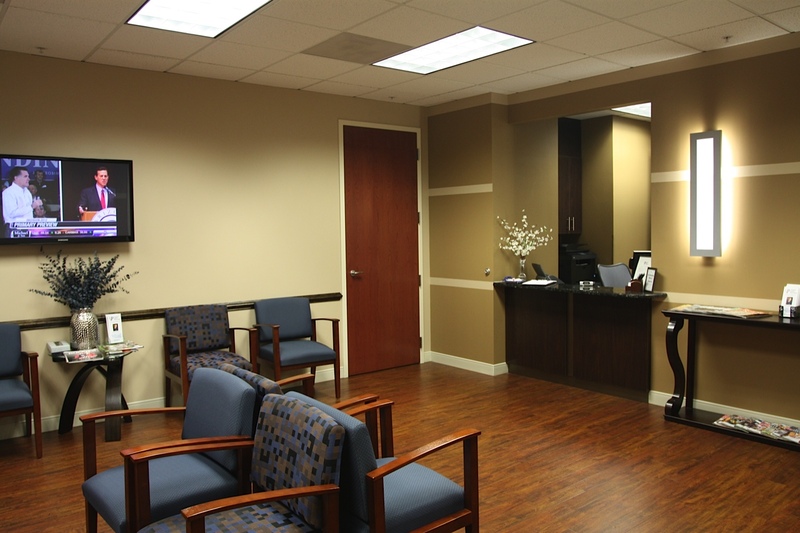 On Tuesday morning last week, I took a seat in the waiting room of the doctor’s office. I was ready, as ready as I could be. Desiring a clear diagnosis for the last 10 years has allowed me to feel the spectrum of emotions. These emotions have ranged from hopeful to jaded and everything in between. But I did not wait for the doctor assuming the worst. You see, part of my story is that I’m really used to hearing the words, “You’re fine.” In these years, I have been diagnosed with a few different conditions, but my symptoms only continued to worsen. Yet, as far as the doctor was concerned, I ate a healthy diet and I exercised. I was the model patient with a minor low thyroid issue, and the doctor just couldn’t quite figure out the right dosage. I wanted a diagnosis, clarity, an action plan as I waited for my name to be called. Over the past year, I have resigned from 3 different jobs because of my health. I’ve spent time scaling back, taking time for solitude, self-care, cooking, leisurely exercise, reading, writing, counseling, doctor’s appointments, healing. You can be sure that I will blog more about this later. But even as I pursued health to the greatest extent I knew how, I still was exhausted, unsure of how to help myself. More than that, I was losing grasp of how to relate to others well. Social situations grew more and more taxing. Some days I was bedridden without a logical reason. Others, I could get up, but making a meal and washing dishes warranted two hours of lying on the couch. There still were alright days sprinkled in, where I could enjoy the company and conversation of a friend. Yet, as I waited, I wanted answers. As the doctor led me through lab results, treatment plans, and charts he explained that I have Hashimoto’s disease. Hashimoto’s is an auto-immune disorder where antibodies damage the thyroid gland, inhibiting the process of making thyroid hormone. After the medical explanation, the doctor started to talk time line of my treatment plan. Many months (probably a lifetime) of crazy restrictive eating, yoga, slow rhythms, and supplements, hoping for increased energy and joy. Now, this isn’t new. Most everything is just more of the same, just refined with greater clarity. And also add amino acid injections every 3 weeks. 2. Can Hashimoto’s be reversed? To #1, I’m thankful and tired. Every day is still a lot of hard work. But I’m thankful for a great doctor and nutritionist who listen well and help plan treatment that is going to be most helpful for me. To #2, the answer is “Time will tell.” I may never be 100% again, but it’s still possible for me to regain lost strength, energy, and stamina. My goal is to be Hashimoto’s healthy. As healthy as I can be in my worn out body, that just wants a break most days. As healthy as I can be, even if I’m still exhausted. As healthy as I can be, even if results take time. Or don’t come. What do you desire for your health? In what ways are taking care of yourself right now? Moving and transition. I naturally long for depth, so 3 moves in a year seems too much. Disjointed. Fragmented. Yet there is much I have learned in moving. I want to plan out my transitions and know what’s next. I want to transition when I’m ready-when I have a plan and a job and a clear purpose. But none of that is true now. I want moving to be adventurous, a new beginning. Yes, it is true that every move has these elements. While there’s a part of me that longs for anonymity and a chance to reinvent myself-I know that’s a lie. I can’t run away from myself. My fatigue will still follow me. I’m moving 7 minutes away. My days will largely look the same, but am looking to write more. I have the same community and I long for healing that I may have the opportunity to teach at the same school I resigned from in November. This is not a move of newness, but more like sameness. A calling to do the everyday well. A calling to greater depths of honesty, rest, and relationship. A calling to live out the person I am with greater artistry. A calling to let my mess be seen. I have called the Marott home for 5 months. 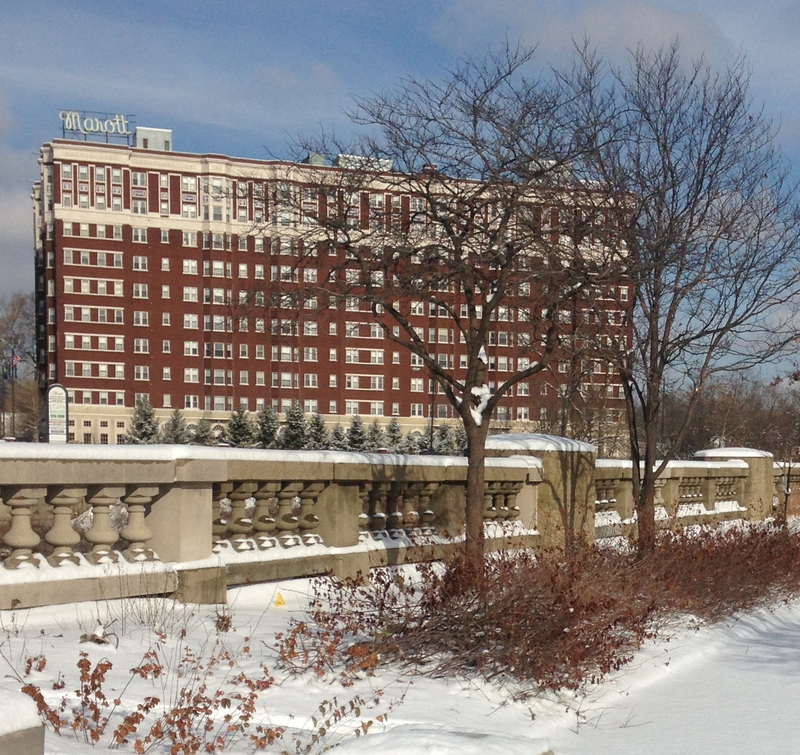 I will miss its 1920’s rustic hotel appearance and the small chandelier in my living room. I will miss my view, and surprising sunrises while washing dishes. But more than that I will miss the tangible remembrance of inviting people into my home and letting them see my simple, overly structured life. These people ate lamb and brussel sprouts with me and knew they could only stay for two hours before I got really tired. People helped me embrace my life, even when I wanted to run. I didn’t have to hide or fake it. I didn’t have to be a perfect hostess, overly conversational, or a picture of health. I could be me, figuring out life in a new city, in my little apartment. And I could just be: without explaining, defending or justifying myself. But these memories come with me, for they are part of me. Even in the moving.